Thara and Bravos must get ready to face the evil Arcomage, who devastated the Land of Shrikar several years ago. They know it’s no easy task because their first real enemy will be the wicked Dim Knight. Fulfill their destiny, gather your resources and join the battle! 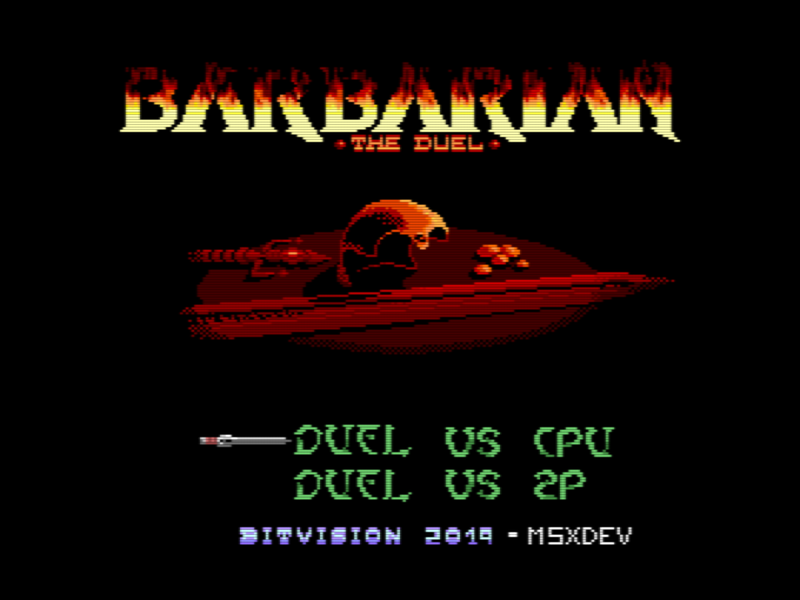 As previously announced, this entry for the MSX freestyle category is finally here. Accept the challenge to a gory duel against your opponent and try to survive! 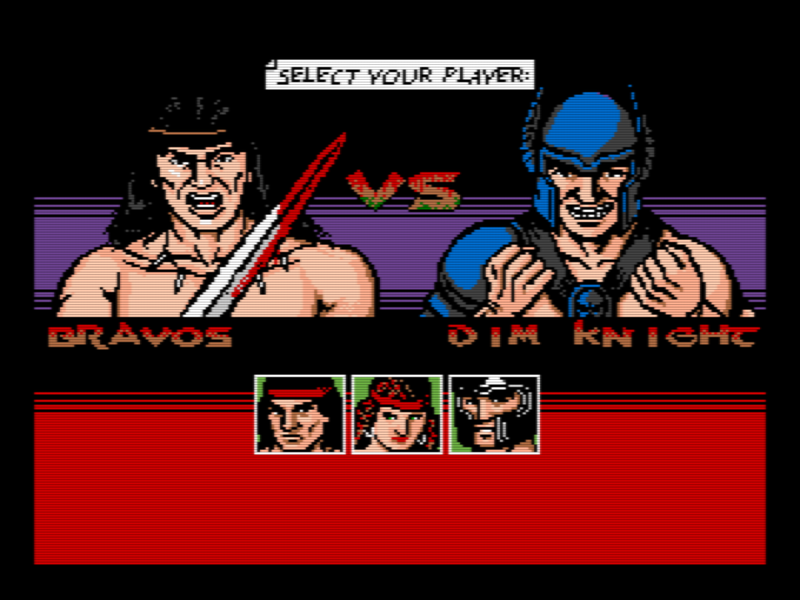 This game works only on MSX2 and higher and features MSX-Music sound. On top of that, if you have an OPL4 cartridge you can even hear voice samples during the game. Please remember that this game participates in this contest just for fun, meaning that the authors decline any prize in case they win one of them. Parabéns!!!!! Excelente trabalho. Este jogo será também lançado em cartucho? Great!Nice work!! This game will launch in cartridge? This game WON’T be released in cartridge because it will be extended with 9 characters (no just 3 like now) and 7 stages (not just 1 like now). 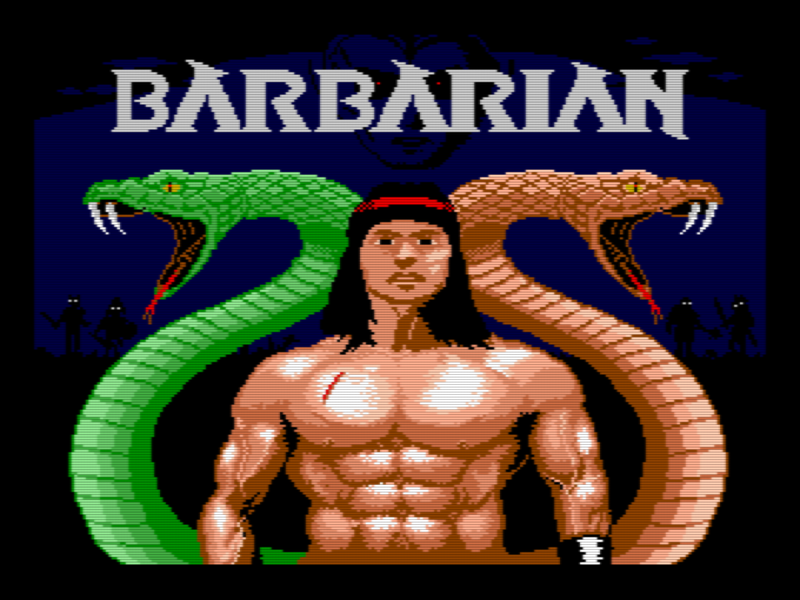 It will be ‘Barbarian The Arcomage’s Downfall’ and it will be released in cartridge very soon. I’ll be anxiously waiting for the cartridge version! I’ll check on those MSXs for sure.